I keep hearing, every year, how people will be following New Year’s resolutions, and then potentially failing at them. 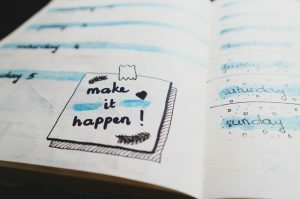 I wanted to have a post where we all, as business owners, can share one thing we would love to achieve in 2018 that would make our business lives better, easier, more inspired, or just happier. One thing that will make my business life better in 2018 is to have time to learn new things. I love being able to help others with their businesses, and I love that most of my day is taken helping my clients, however, how do I stay ahead of the game, if I don’t give myself time to learn new skillsets? So I will be signing up to a few new courses every few months, to help me learn new skills. Starting with SEO, and then signing up to a fantastic new tool called Tomorrow’s VA, aimed at helping VAs become more productive. I know the owner very well, and have had the privilege to be a part of the beginning process of it launching. It will share tips and tricks to saving time whilst using Microsoft tools, such as Excel, Word, PowerPoint and Outlook. I already have utilised some fantastic tips from the free downloads, and can’t wait to learn new ways to be even more efficient! So, over to you – what will you be resolving to do in 2018 to help you within your business? I’d love to hear it! PS, if like me you are rubbish at setting goals, I will be on this free webinar by Elaine Sullivan on 28th January.